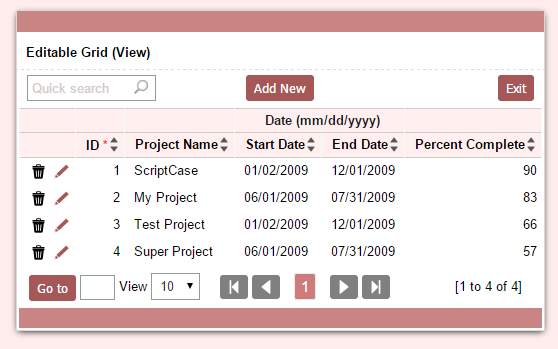 In this example will be developed a form of the “Editable Grid (View)” using the resources: Quick Search, Sorting and counter. 1. 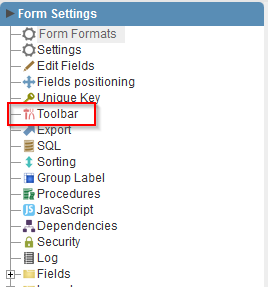 Create a new application type Form “Editable Grid (View)” based on the table project. 3. 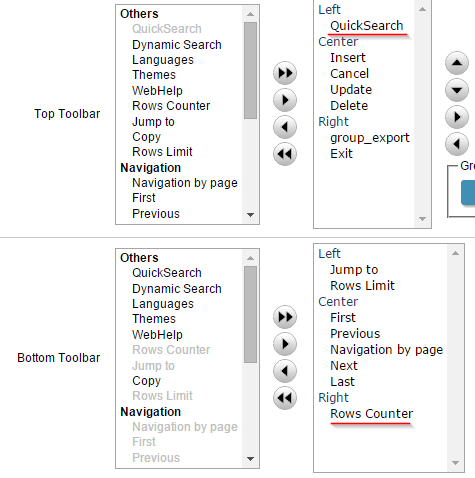 Add the button “Quicksearch” and “Lines” in the toolbar. 4. 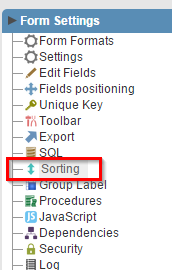 In the application menu to access the item “Sorting”. 5. 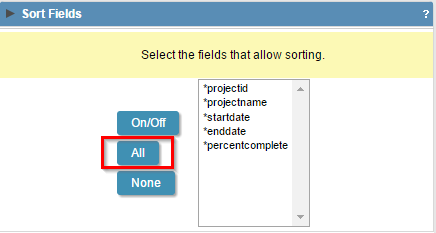 Click the “All” button to allow sorting by any field..